Today my mother discovered the ride-on shopping cart at Home Depot. She was eager to try. I was concerned. 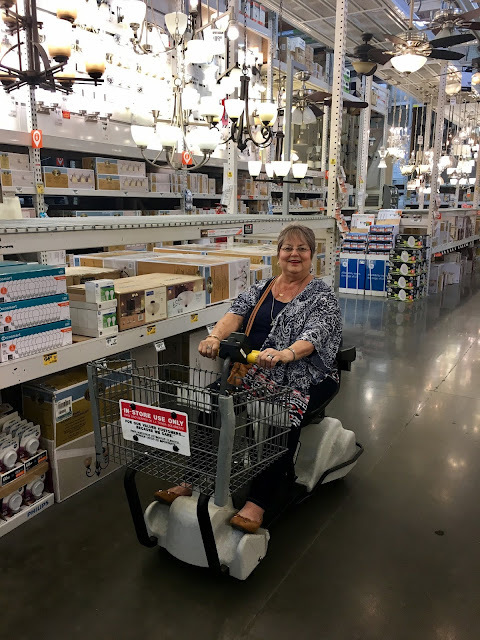 She got off to a jerky start, like when you first learn how to ride a bike, or drive a car with a clutch, but she eventually got to the point where she was able to back up in the aisle without knocking anything over. Complete shocker. I had my own cart and stayed several paces behind.